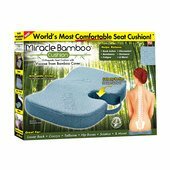 The Miracle Bamboo Cushion promotes proper seating posture by conforming to your body shape for ultimate support while relieving pressure on your spine, buttocks and tailbone. 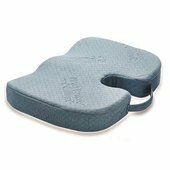 The orthopedic foam helps ease backaches, numbness, pain and fatigue. 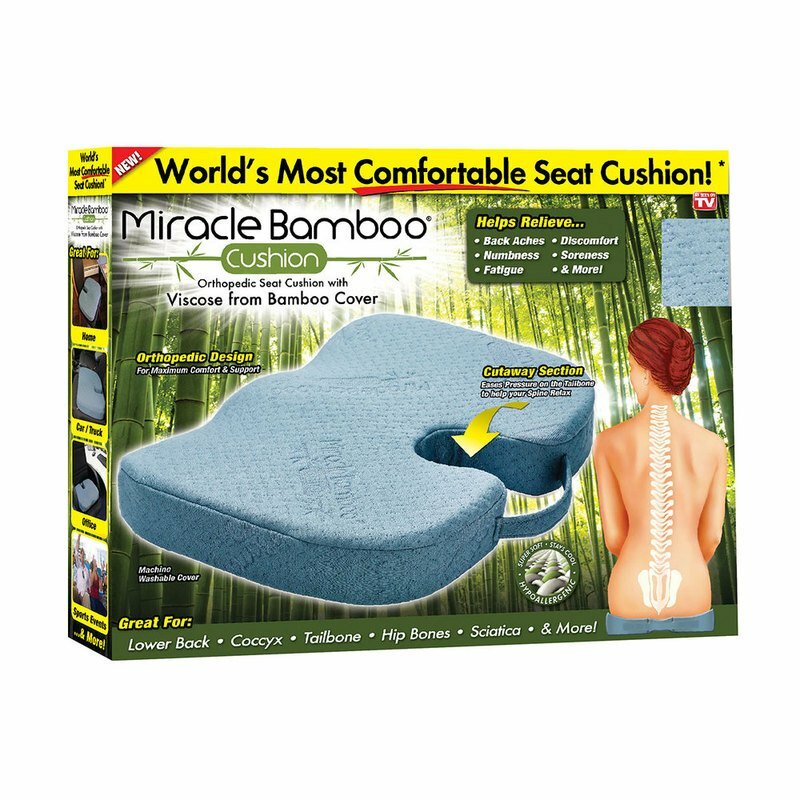 Great for home, office, auto, sporting events.